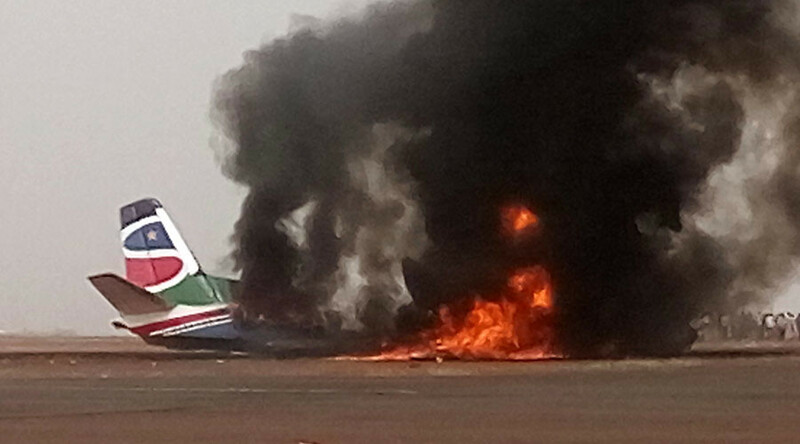 At least four passengers were injured when their plane struck a fire truck at an airport in Wau, South Sudan. Bad weather reportedly caused the South Supreme Airlines plane to crash into the vehicle upon landing on Monday, subsequently bursting into flames. 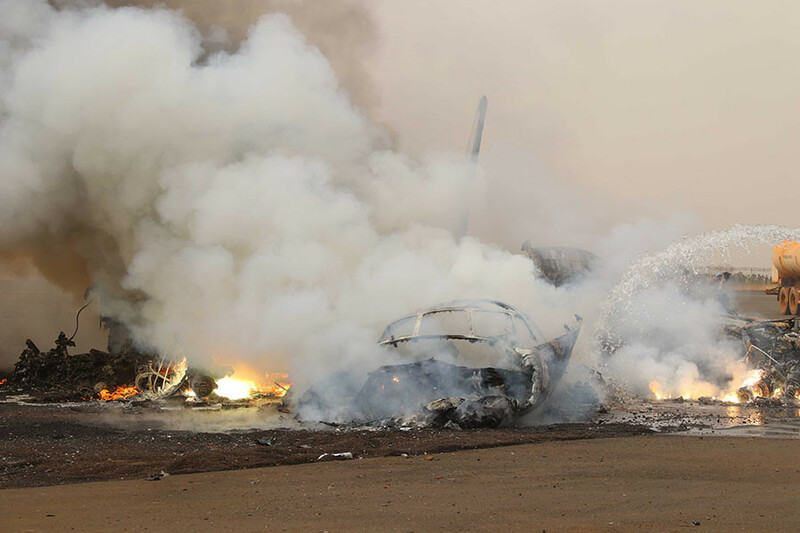 "The aircraft landed safe... but because of bad weather, the plane missed the line and hit a truck belonging to the fire brigade," Gabriel Ngang Maduok, a station manager with the carrier told Reuters. Initially, local reports speculated that all 44 passengers were feared dead as photos of the wreckage, shared by eyewitnesses, spread on social media. Images from the scene showed the smoking charred wreckage of the plane fuselage and the intact tail. Four people, including one crew member, were hospitalized over their injuries. The flight was traveling to Wau from the South Sudanese capital, Juba, a local official told the BBC.